The third IAA Conference on University Satellite Missions and CubeSat Workshop, sponsored by the International Academy of Astronautics and the European Space Agency and organized by G.A.U.S.S. Srl, including a Workshop on Lean Satellite Standardization, organized by the Kyushu Institute of Technology was held successfully. Following the two rewarding previous editions of 2011 and 2013, the 2015 Conference aimed at providing relevant information on University satellites, opening an international forum on the CubeSat community topics. It was addressed to researchers, professors and students from all over the world. 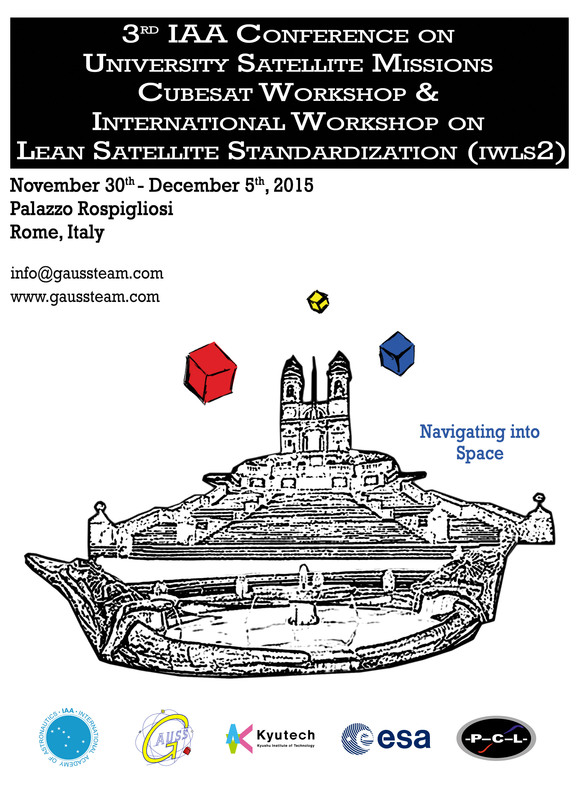 The event took place from 30 November to 5 December 2015 in Rome (Italy), under the sponsorship of the International Academy of Astronautics (IAA), the Group of Astrodynamics for the Use of Space Systems (G.A.U.S.S. Srl), the Kyushu Institute of Technology (Kyutech), and the European Space Agency (ESA), with the cooperation of Printech Circuit Laboratories (PCL). The location was the prestigious Palazzo Rospigliosi, in the city centre. Saturday, December 5th – Guided tour. For more information about the Workshop on Lean Satellite Standardization organized by the Kyushu Institute of Technology, click here.